NO. 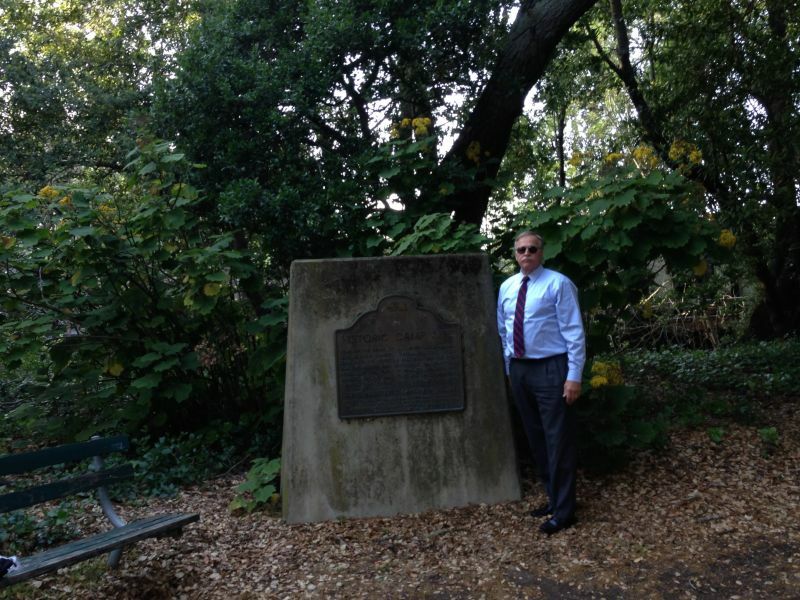 47 ANZA EXPEDITION CAMP - Here on the banks of San Mateo Creek Captain J. 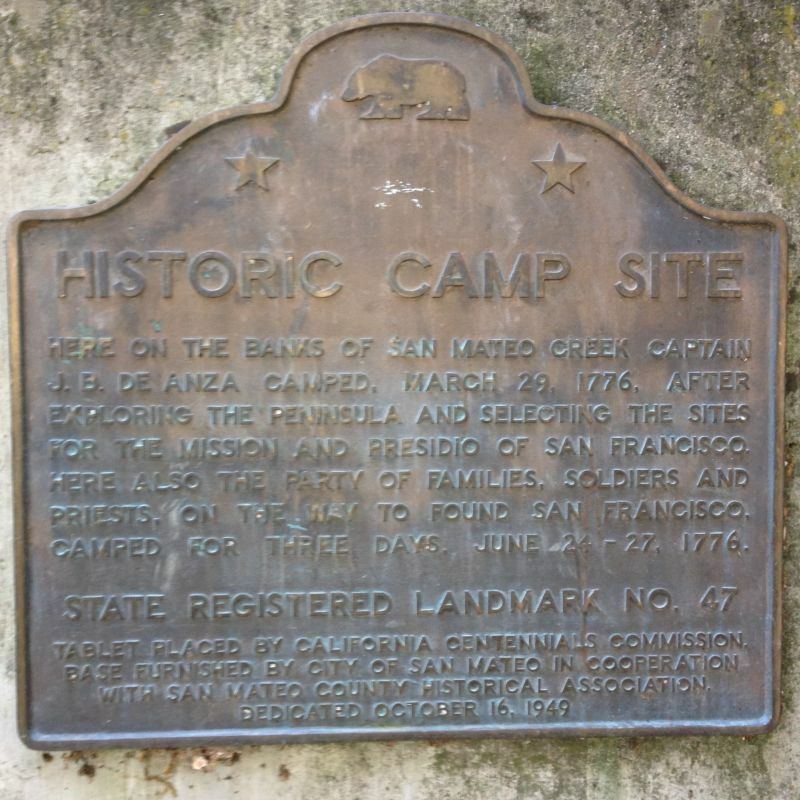 B. de Anza camped March 29, 1776, after exploring the peninsula and selecting the sites for the Mission and Presidio of San Francisco. The party of families, soldiers, and priests, on their way to establish San Francisco, also camped here for three days, June 24-27, 1776.